She's had to deal with misogyny her whole career and she's still a class act. If you're going to go after Serena Williams, you better be prepared to lose. On Sunday, retired American tennis player John McEnroe made a sexist comment about the greatest athlete of all time, telling NPR's "Weekend Edition Sunday" host Lulu Garcia-Navarro that Williams wouldn't be as "great" if she were playing against men. 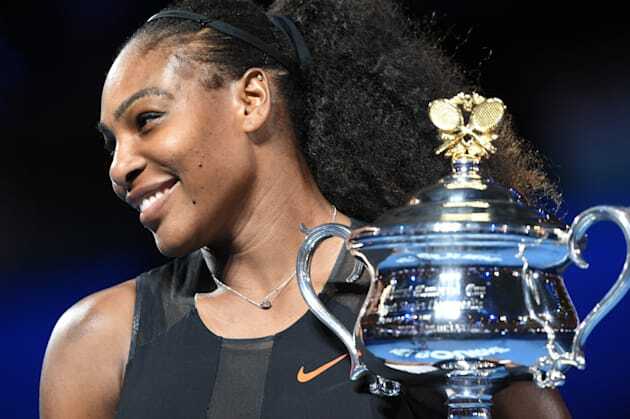 When Garcia-Navarro asked McEnroe why he chose to specify that Williams was the "best female athlete ever" rather than the "best athlete ever," he responded: "Well, because if she was in, if she played the men's circuit she'd be like 700 in the world." He then tried to backtrack, giving the currently No. 4 TWA ranked player a backhanded compliment. "That doesn't mean I don't think Serena is an incredible player. I do, but the reality of what would happen would be I think something that perhaps it'd be a little higher, perhaps it'd be a little lower. And on a given day, Serena could beat some players," he said. "I believe because she's so incredibly strong mentally that she could overcome some situations where players would choke 'cause she's been in it so many times, so many situations at Wimbledon, The U.S. Open, etc. But if she had to just play the circuit — the men's circuit — that would be an entirely different story," he continued. These kinds of misogynistic comments are unfortunately nothing new for the celebrated tennis star, who is pregnant with her first child, but, like the pro she is, Williams took to Twitter and shut. it. down. in the classiest way ever. In two tweets directed at McEnroe, Williams straight up tells him to keep his sexist comments to himself. "She'd be like 700 in the world." – Retired tennis champ John McEnroe serving a backhanded compliment. John McEnroe is every man whose tried to tear down success of a more talented woman because they can't stand the idea of women being better. But Williams has already moved on from McEnroe's nonsense. Just hours after she issued her fiery reply, she tweeted (and Instagrammed) a photo of her brand new Vanity Fair cover, featuring her gorgeous naked pregnant body à la Demi Moore. And just to make sure y'all understand, as ESPN points out, Williams has 23 singles Grand Slams and 14 more in doubles. Roger Federer, the male tennis player? He has 18 singles Slams and none in doubles.